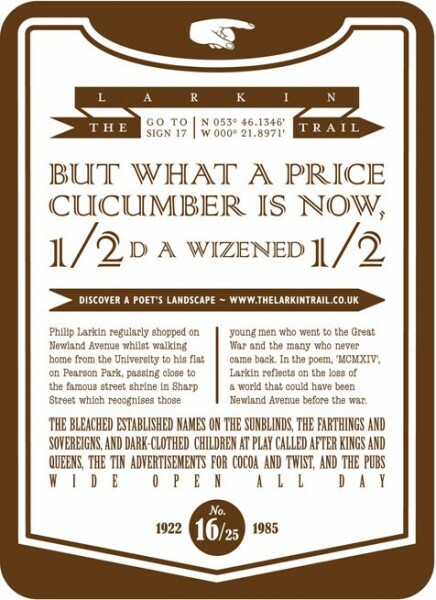 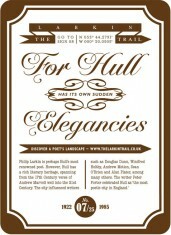 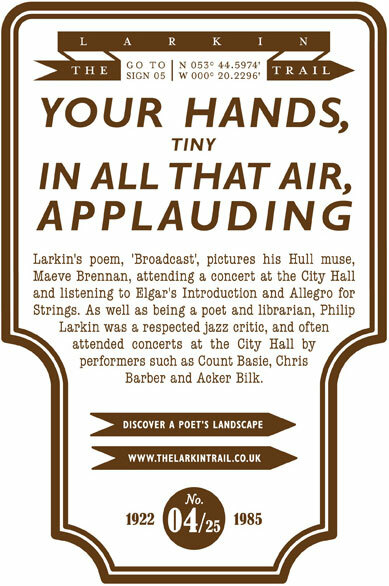 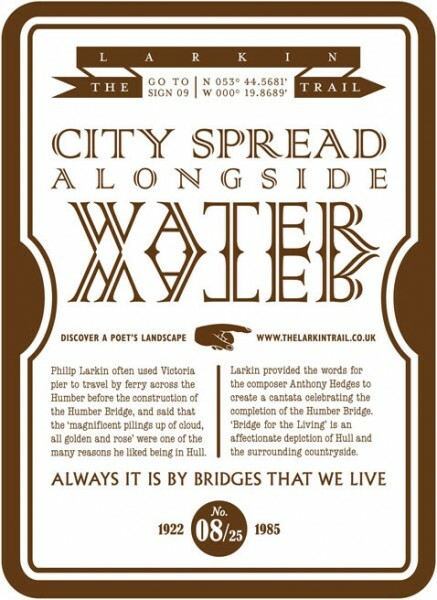 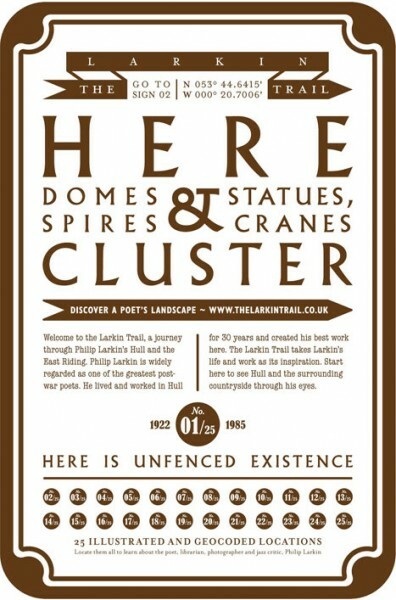 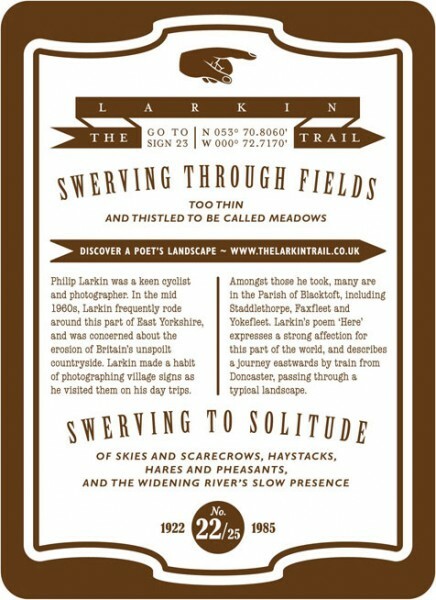 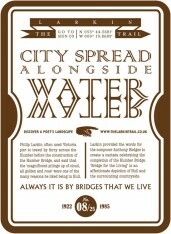 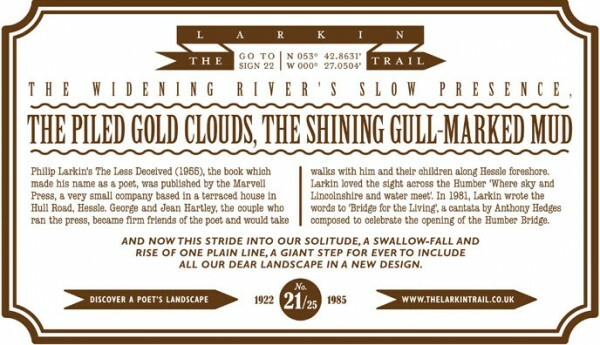 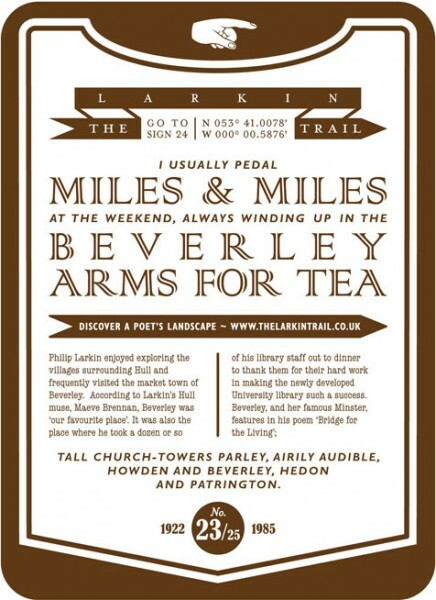 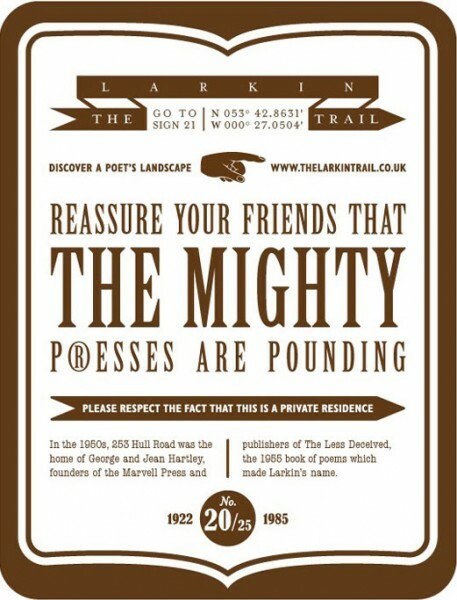 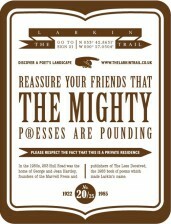 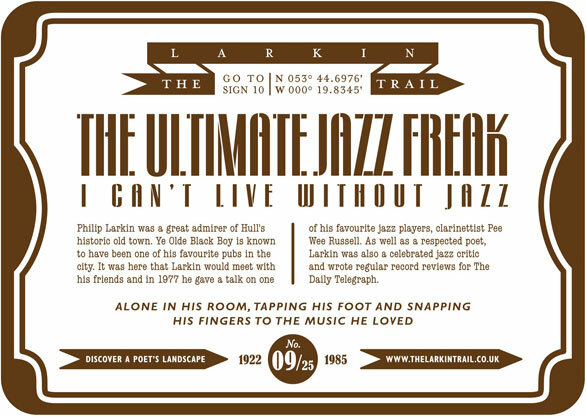 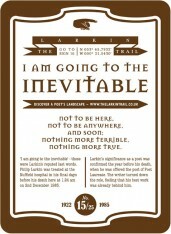 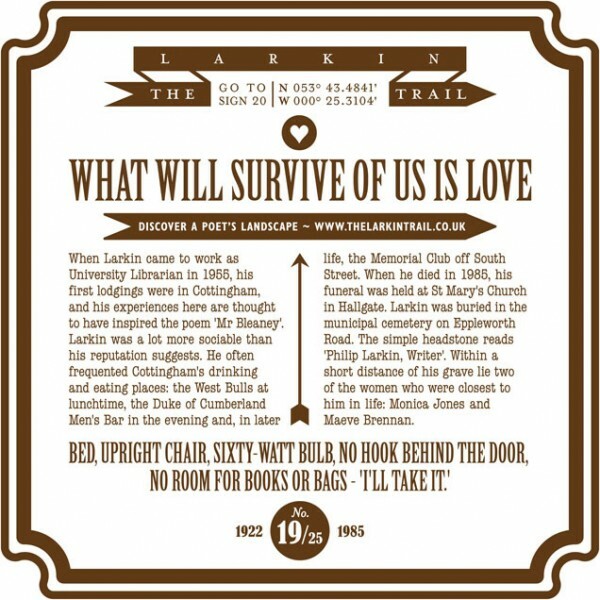 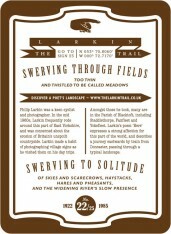 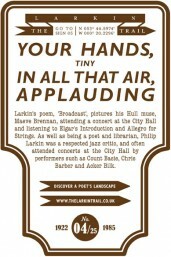 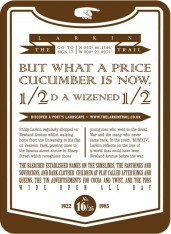 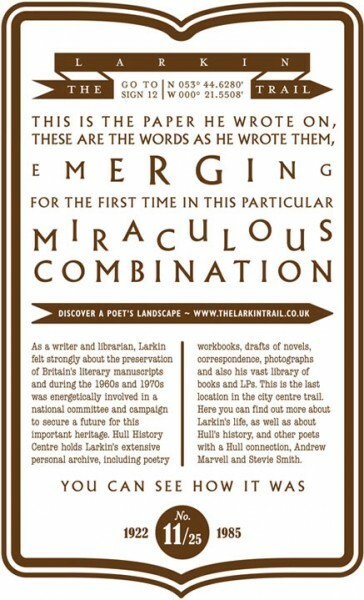 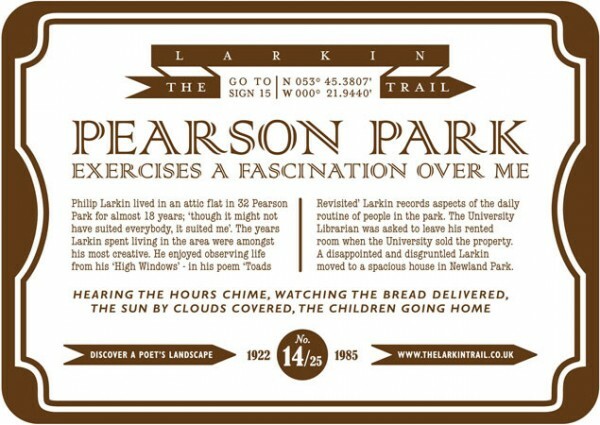 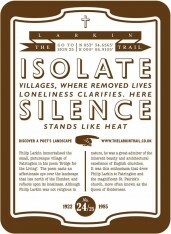 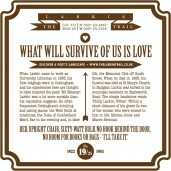 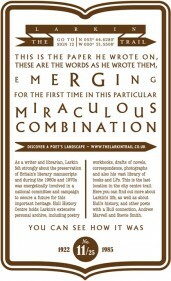 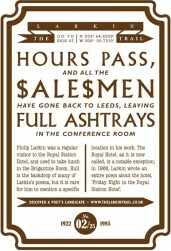 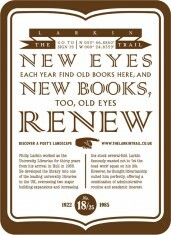 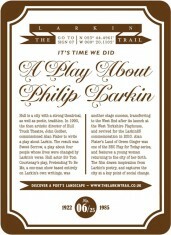 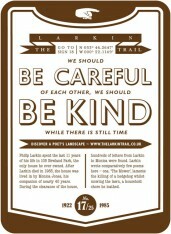 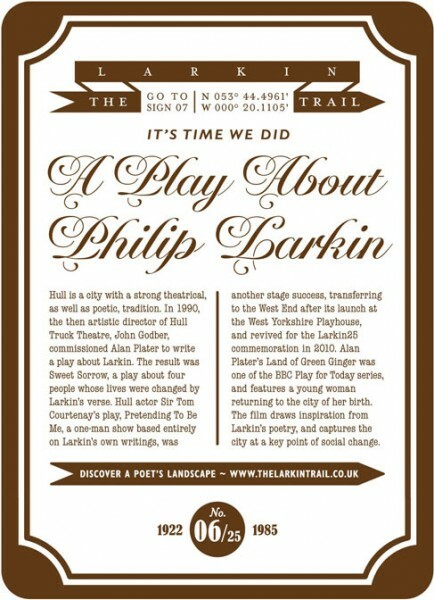 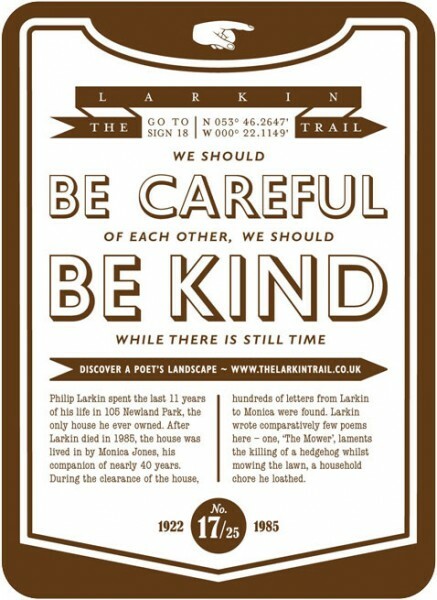 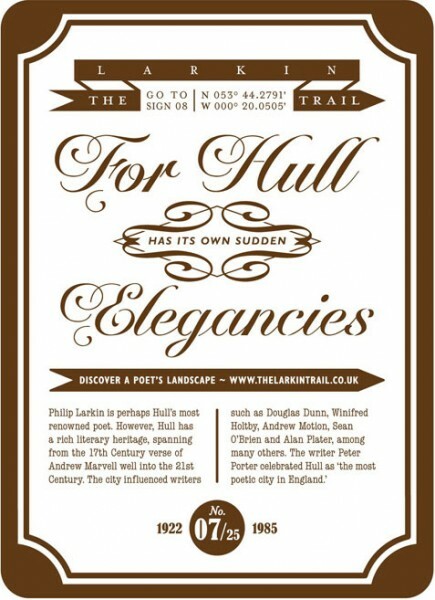 Here you can see the whole collection of the 25 Larkin trail signs, installed at sites across Hull and the East Riding. 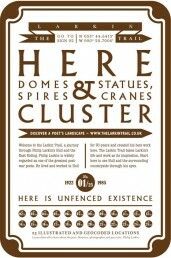 The signage was created by United Creatives. 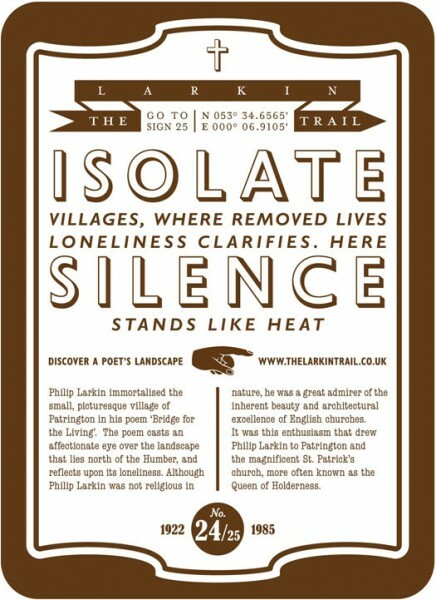 Taking inspiration from one of Larkins poems they focussed on the stanza 'Brightening up the saddest heart' and set out to create a unique and versatile approach to signage design. 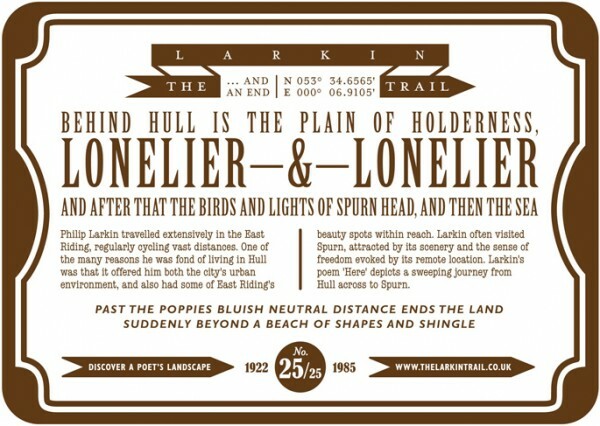 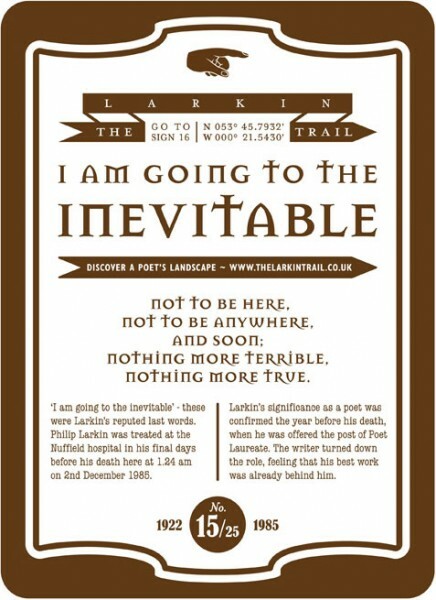 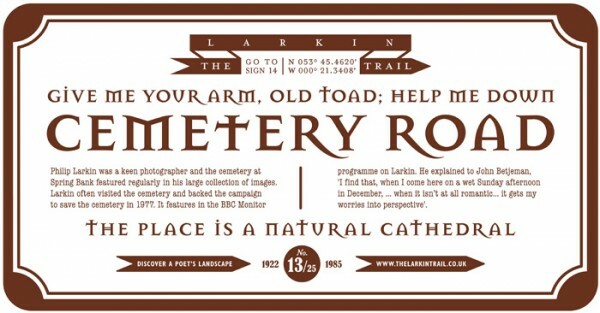 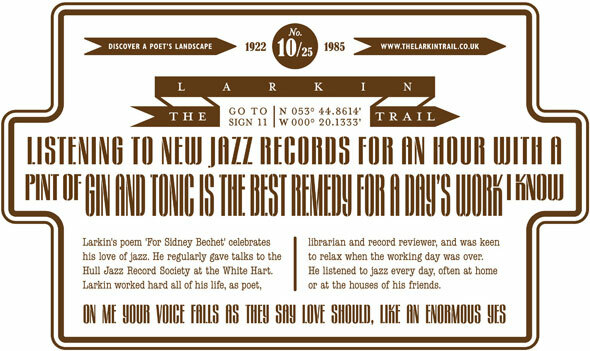 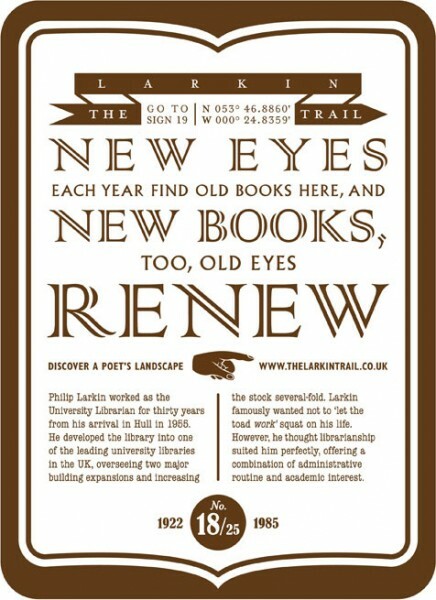 Inspired by the old Victorian signs that can still be seen in Hulls' High Street, the hand painted and vitreous enamel vintage-styled signs are made up from typography relevant to the period and individual message of Larkins poems.